I don’t know about you, but I’m busy. Busy, crazy, nuts. But I never use those words – they don’t serve me well. Still, if you are like me you spend much of your time doing and very little time being. I have committed to spending 24 hours in silence with the next month. I’m scared just thinking about it but I was inspired by the incredible story of my radio guest this week. Frederick Soucy did the unthinkable. He spent four days alone in the woods with not only no screens, no reading or writing but also no food and no water. No nothing, just himself. And … Frederick has done this 3 times! Now of course, you don’t have to do that, but you can turn your phone off for 24 hours or go 24 hours without speaking or join me in my personal challenge of 24 hours of silence. 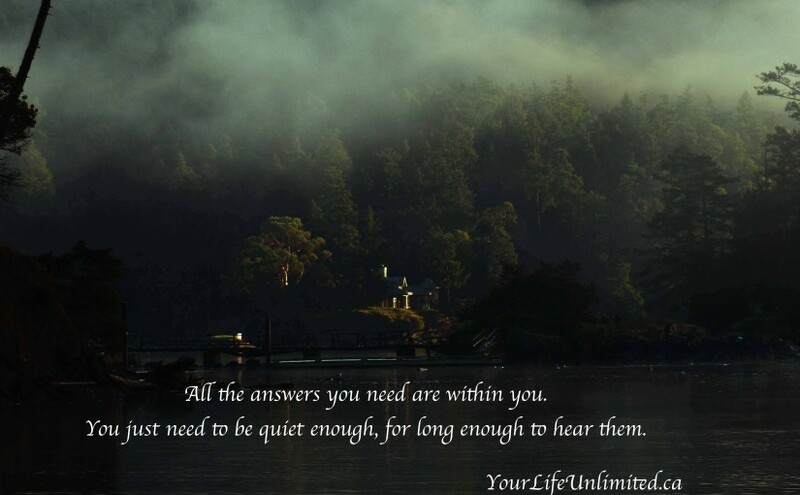 Frederick says everything you need to know is within you, you just need to be quiet enough for long enough to hear it. So for a change, I’m going to stop doing and start being a little bit more and 24 hours of silence seems like a reasonable place to start. What can you do to be quiet and reflective this week? Richard Lannon also joined me on Your Life, Unlimited radio. Imagine thinking you are a healthy fit person one minute and getting your chest split open the next. Yikes, that’s what happened to Richard, hear his story on this week’s show. This entry was posted in Blog, Personal Growth, Resiliency, Stress Management, Work/Life Balance and tagged cjob, Inspiration, personal growth, podcast, Stephanie Staples, Your Life Unlimited. Bookmark the permalink.